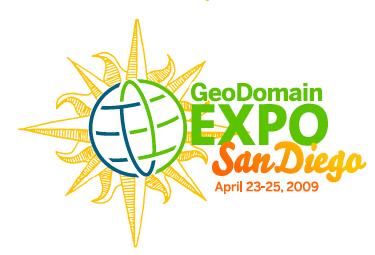 The preliminary 2009 GeoDomain Expo agenda has been posted on the Associated Cities website. The agenda is jam packed with panels and networking sessions that will benefit anyone who owns a geodomain or who is looking to buy a geodomain. As mentioned last week, just about all of the largest private geodomain owners will be in attendance, and I have found that most are willing to share their experiences and advice. The Expo will be held at the Catamaran Resort ($150/night) in San Diego from April 23-25. This promises to be a great show. Also, for those that have asked, there will be an auction, and it will be run by Aftermarket.com and DomainConsultant.com. I plan on attending. However, I am interested to find out what are the names to be auction. do you know if you can set reserve prices(owners prices and not having a low reserve) and whats the comm. rate for a sale? how can you submit the names as well or was there a deadline for this? @Jeff – not sure of the auction details.